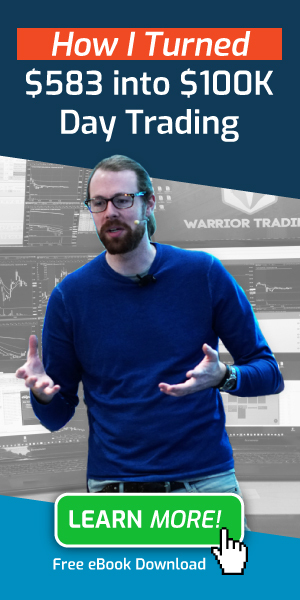 Warrior Trading | Tick Size Pilot Program - A Blessing or a Curse for Retail Traders? For the first time in 15 years the Securities and Exchange Commission is testing a change in the bid-ask spread of a select group of stocks by implementing a Tick Size Pilot Program. 15 years ago, the market underwent decimalization. Prior to decimalization, all stocks had been trading in fractions of either 1/8 or 1/16. This means that stocks trading in 1/8 spreads had a 12.5-cent spread, while stocks trading at 1/16 spreads had a 6.25-cent spread. On April 9th, 2001 all stocks above $1.00 were required to begin trading with 1-cent increments—meaning that stocks trading at 1/8, which had 8 increments in each whole dollar, and stocks trading at 1/16, which had 16 increments in each whole dollar, would now have 100 increments. This represented a 600% to 1000% increase in price points where traders could place orders within a dollar. There were several theories that drove lawmakers and regulators to support the shift to decimalization. The first belief was that since the US Market was the only stock exchange not trading with decimals, the move to decimalization would make the market more attractive to investors by making it easier to understand the pricing. The second belief was that decimalization would bring more trading volume into the market, which would increase liquidity and improve trading for investors. In the 15 years since decimalization, investors and traders are reflecting on the impact of the historic shift to minimum spreads of 1 penny. Greg Ghodsi, the head of the 360 Wealth Management Group at Raymond James, said, “In my opinion, decimalization is a negative because it narrowed the spreads. On the surface you would think it would be better for the markets, but narrower spreads mean less profit for market makers. Less profit leads to less capital and less capital leads to less liquidity” (Forbes). A market maker’s job is to sit at the ready for a trader who wants to come to buy or sell shares. That means the market maker must have shares on both the bid and the ask. If a trader decides to suddenly sell 10K shares, it’s the job of the market maker to absorb that sale. In order to generate profits, market makers profit from the spread. Prior to decimalization, a market maker could buy shares at 10 1/8 and offer to sell at 10 1/4, which is a 6.25-cent profit in the spread. With decimalization, their profits diminished greatly. While this may seem better for investors, market makers have become less inclined to provide a market for stocks that are thinly traded. That means a small-cap investor who wants to sell 10K shares may not always have a market maker there to absorb the sale. As a result, prices could suddenly drop, leading the investor to receive far less from his or her sale than if market makers were there creating the spread. These quick drops and spikes in prices have resulted in more volatility, which further increases risk for investors of small-cap stocks. In other words, decimalization eliminated the economic incentive for market makers or investment bankers to trade small-cap stocks. They went on to suggest that decimalization has lead to an adoption of short-term trading strategies with large-cap stocks in exchange for long-term fundamental strategies. They make note of the fact that Apple, Cisco, FedEx, and Starbucks entered the market in their IPO as small- and mid-cap companies that have since grown to become some of the largest companies on the market today. The IPO Task Force suggests that decimalization has made a less than favorable environment for small-cap stocks because market makers and investment banks don’t profit from the spread the way they once did. As a result, they are less inclined to provide a market for these stocks, support their IPO, or conduct research on these emerging companies. Evidence to support their theory was the fact the the number of IPOs between 2001 and 2011 had dropped sharply versus the prior 10 years. The Commission determined that they should not make a change to the 1-cent minimum spread for all stocks priced over $1.00. Despite the 2012 report, a 2014 bill by the House of Representatives required the Securities and Exchange Commission to implement a two-year-long pilot program to test the impact of a larger minimum spread. Lawmakers and regulators are hypothesizing that increasing the minimum spread will create incentives for brokers and investment bankers to make markets on small-cap stocks. Will this in turn make them more likely to support IPOs, issue research reports, and actively invest in small-cap markets? This pilot program will also examine whether a larger spread will increase liquidity, reduce volatility, and result in sustainable long-term growth in small-cap stocks. Opponents of the Tick Size Pilot Program argue that increasing the minimum spread will result in greater risk for investors, increased complexity in the exchange, and higher commission costs. Greenwich Associates conducted a survey of institution traders and found that “only 4% believe it will increase capital formation opportunities for emerging growth companies—the original goal of the program. In addition, only 9% believe it will improve liquidity in these securities, and by a wide margin these traders thought it more likely that the pilot program will increase rather than decrease execution costs” (Greenwich). 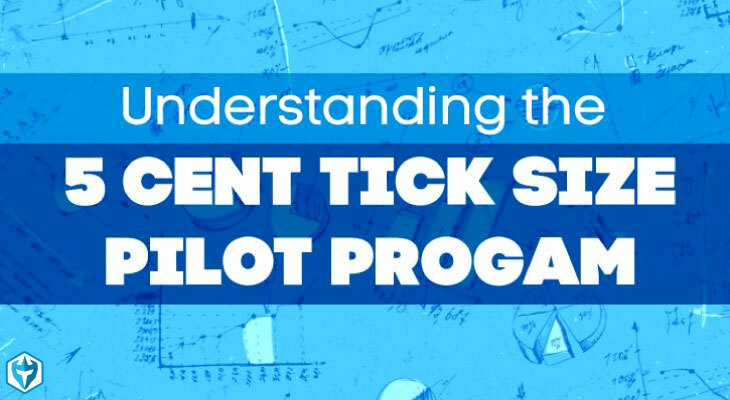 Forced to comply, the SEC and FINRA worked with market makers and investment bankers over the course of 2 years to build the technology and the framework for the Tick Size Pilot Program. For the first time in over 15 years, the minimum tick size has changed for approximately 1200 stocks involved in the Tick Size Pilot Program. The pilot program went live on Oct 3rd, 2016 and has created a minimum 5-cent tick for 1200 small-cap stocks that are divided into 3 test groups. By implementing a 5-cent spread, there will be only 20 price points within each whole dollar versus the current 100. 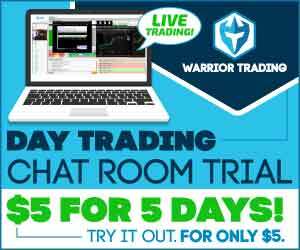 This is an 80% reduction in prices where traders can execute orders. As a result, all orders that might have been executed outside the 5-cent spreads will be forced into one of the 20 price points. This grouping of orders means each price point has substantially more buyers and sellers. This means that a trader or investor who wants to sell a 10K position can easily get filled. The theory is that this could encourage incentive for investment bankers to begin to actively make the market on these stocks, thereby increasing liquidity. The first group contains 200 stocks and is the considered the control group. These stocks will continue to trade at 1 cent spreads. The first test group will be quoted at 5-cent increments but will continue to trade at their current increments. The second test group will be quoted at 5-cent increments but will allow certain exceptions including mid-point trades for retail investors executions. The third test group will be quoted and traded at 5-cent increments, will follow the same requirements of the second test group, but will also be subject to a “trade-at” requirement. These requirements can be viewed in detail on the FINRA website. The earliest response to the Tick Size Pilot Program among traders is that it has reduced volatility among small-cap stocks, thereby achieving one of the goals of the program. Stocks that formally might have moved 20-30% intraday now appear pegged at the same price all day long. This has the effect of reducing short-term opportunities that have been commonplace among small-caps. Over the last 15 years, the small-cap market has become extremely popular among retail traders because the stocks are affordable, the spreads are tight, and the volatility has offered quick profit potential. Stocks currently in the Tick Size Pilot Program appear to have lost their ability to make quick moves. They have begun to trade like large-cap stocks including Sprint, SiriusXM Radio, and Bank of America. As a result, many retail traders have reported moving away from stocks in the Pilot Program in search of opportunities to profit on volatility in other areas of the market. The earliest data seems to indicate that the 80% reduction in price points is equalizing the behavior of small-cap and large-cap stocks. This in turn could very well increase the likelihood of investment banks making the markets, supporting IPOs, and issuing research reports. The long-term impact could be that more small-cap companies make IPOs, benefit from investment, and make their way to mid-cap and large-cap status. This in turn could could create more jobs and economic growth—addressing one of the concerns of the 2012 JOBS Act. In April of 2018, the Commission will release a report of their findings. This is something traders, investors, market makers, investment bankers, regulators, and lawmakers will all be eagerly awaiting. To see a daily list of all the stocks involved in the Tick Size Pilot Program, visit: ftp://ftp.nyxdata.com/Tick_Pilot/. What are your thoughts on the 5 cent tick program? I don’t understand this. Congress is saying “Let’s increase the profits of the market makers and investment banks at the expense of the investor so we can help the investor avoid expensive fills?? ?” If an investor wants to sell 10k shares in a not very liquid market, he or she can easily make the decision him or herself in a 1 cent market to offer to buy at 4 cents above the ask instead of at the ask. Under this program, the investor no longer has this choice. He or she is forced to pay 5 cents to take the liquidity. I am guessing that the market makers and investment banks don’ like the fact that they have been deprived of the opportunity that existed before decimalization to make large profits at the expense of retail investor. And further, given that the SEC recommended against increasing the spread, I am guessing that the brokerage/investment bank lobby somehow pushed a majority of congress to enact this anti consumer legislation over the recommendation of the SEC. I have a few more questions: Are market makers required to provide both sides of the 5 cent spread? Are market makers required to fill non-market maker orders before their own (if a market is .15 by .20, I am offering to buy at .15, and a sell order at .15 comes in, will 100% of my order get filled before any of the market maker’s order)? Are they required to maintain an orderly market and provide liquidity in fast moving markets? What has happened to trading volume in the first, second and third test groups?